FREE Froyo On Tuesday, April 26 At Orange Leaf! You are here: Home / FREEbies / FREE Froyo On Tuesday, April 26 At Orange Leaf! 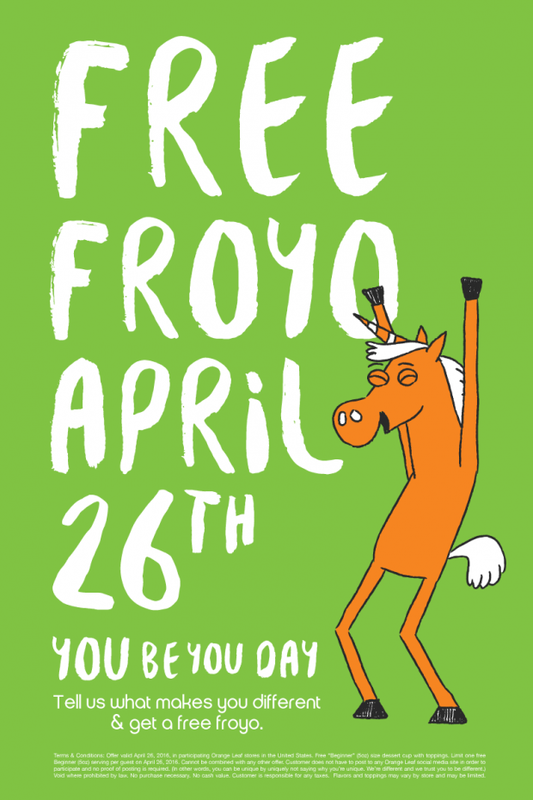 Head over to Orange Leaf on Tuesday, April 26th to get a FREE 5 0z froyo!